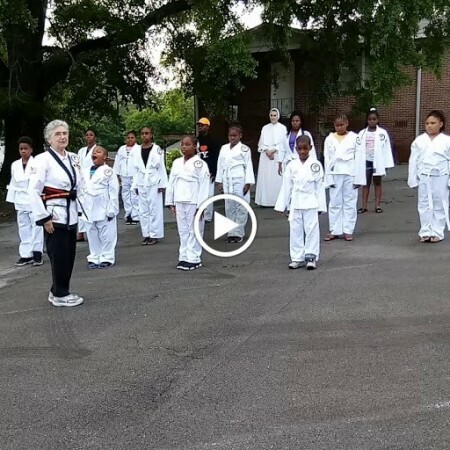 Sixteen V-Town Family Karate students of Master Navarra attended an overnight camp at John Carroll High School in Birmingham, Alabama. We are grateful to the Atlantic Pacific Tang Soo Do Foundation for the support and transportation to and from the event. We are grateful to the 5 Vredenburgh chaperones and the adult workers at John Carroll who fed us and organized the event. Arriving at John Carroll, we were greeted royally by 24 students who planned and lead most of the activities. Right after introductions, we had a scavenger hunt to get to know the facility better. We then made bread for supper which evolved into all kinds of creative shapes. After lunch, we divided into groups. The science activities included making crystals, rockets and watching chemical reactions. The art period included all types of a medium from paint to clay to decorating treasure boxes. The day ended by attending a Barons baseball game which although the home team lost we loved having our picture taken with their mascot. 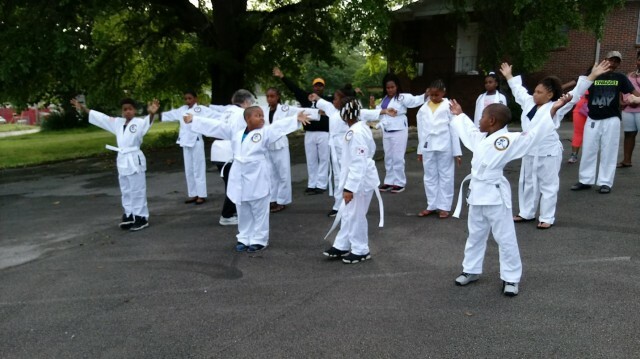 The next morning we began with Tang Soo Do: stretching, kicking and reviewing forms. Everyone was glad to be back into uniform (be that as it may). Now we can't wait to get back to Vredenburgh and regular classes. Although the ultimate Frisbee game was rained out, the drumming circle was full of enthusiasm and rhythm. Back on the bus, we traveled to the Vulcan Park and pizza for lunch. Later it was on to the McWain Science Center where there was way too much to see but loads to enjoy. Touching the stingrays and sharks was exciting. 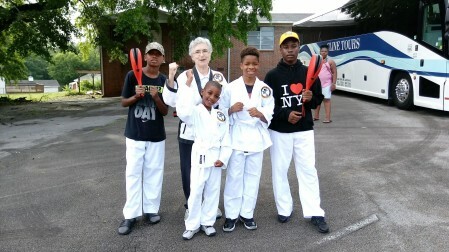 Our Vredenburgh karate students were glad to practice and show their skills to the teenagers who were new to Tang Soo Do. Board breaking is something we love to do but we ran out of time and promised a real demonstration when the teenagers from John Carroll return to Vredenburgh this fall. It was a very fast and exciting overnight trip with many memories and little sleep. It was truly an adventure that will not be forgotten for a long time. Tang Soo Do provided an opportunity for the V-town students to teach and shine and to share with their new high school friends. Certainly, we look forward to more adventures to come. Tang Soo! !